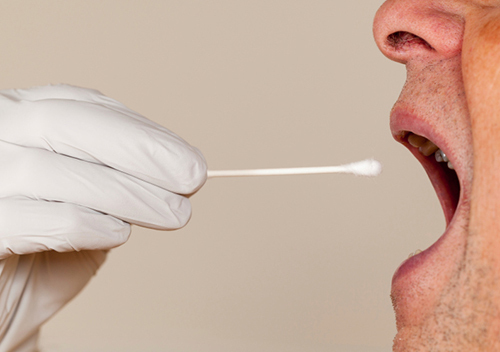 According to a new study published in the journal Neurology, testing the saliva of healthy seniors may help identify those who are at risk for cognitive decline. Researchers analyzed the cortisol levels, cognitive skills, and brain volumes of 4,244 adults with an average age of 76 who were free of dementia. Cortisol levels were measured from each participant’s saliva samples; samples were taken on a single day, about 45 minutes after awakening in the morning and taken again in the evening. Based on their cortisol levels, participants were placed into one of three groups: low, medium, and high. Each participant’s brain was scanned using a magnetic resonance imaging (MRI), which allowed researchers to view brain volume. Participants were also required to partake in tests that assessed their cognitive skills. Researchers discovered that participants with high cortisol levels had an overall brain volume around 16 millimeters smaller than participants in the low cortisol group. In addition, participants with high cortisol levels performed worse on the memory and cognitive tests than those who had low levels of the hormone. Study researchers note that because the study only observed a short time period, they are not able to determine whether high levels of cortisol or loss of brain volume occurs first. Geerlings, M.I., et al., “Salivary cortisol, brain volumes, and cognition in community-dwelling elderly without dementia,” Neurology, published online August 19, 2015, doi: 10.1212/WNL.0000000000001931, http://www.neurology.org/content/early/2015/08/19/WNL.0000000000001931.abstract. Whiteman, H., “Stress hormone levels in saliva could pinpoint seniors with cognitive decline,” Medical News Today web site, August 20, 2015; http://www.medicalnewstoday.com/articles/298362.php.